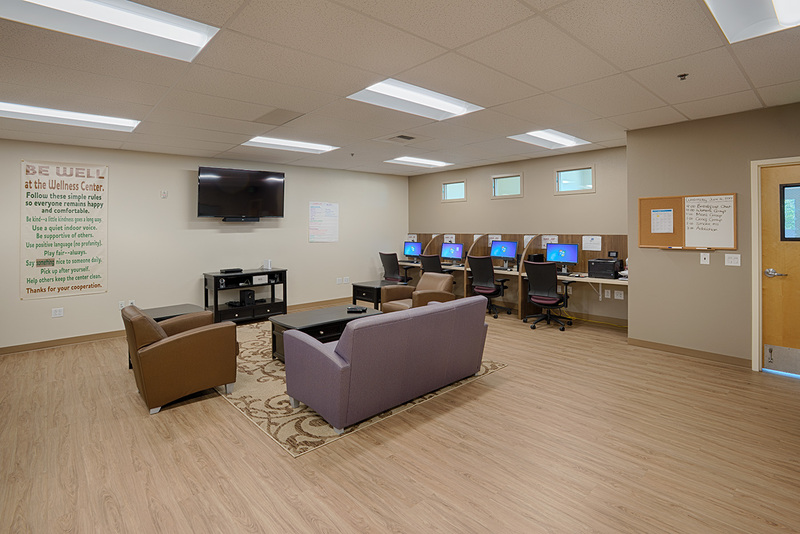 The Yolo County Mental Health and Wellness Center provides services, such as rehabilitation and skill-building to adults with serious mental illnesses. 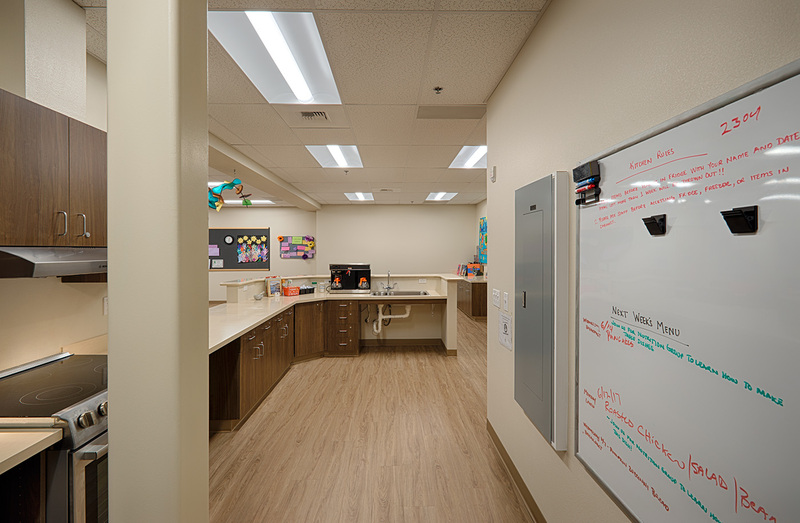 When the Center was moved into an existing building that had previously been used as office space, Lionakis was charged with designing a functional and welcoming environment to support the Mental Health and Wellness Center’s program. 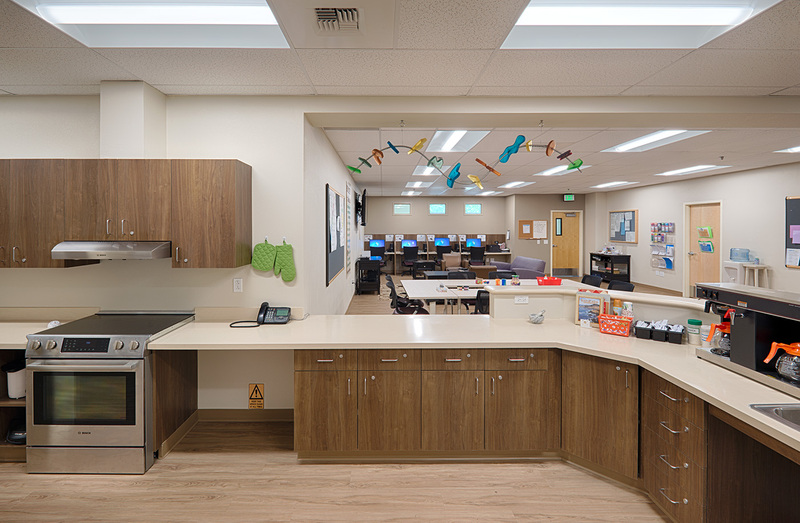 The design included a fully functional kitchen which has become the main hub for client gathering and the Center’s life skills program. 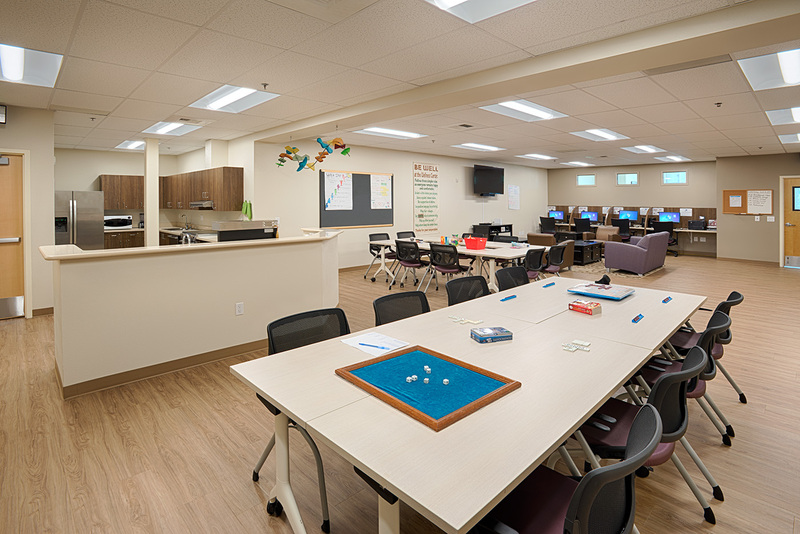 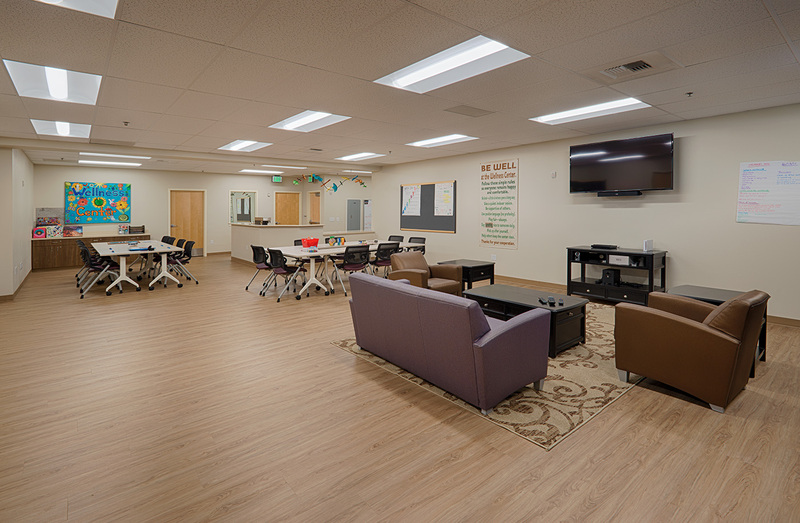 The improved layout also provides space for the computer lab and a flexible gathering area where clients can hang out, watch TV or do crafts. 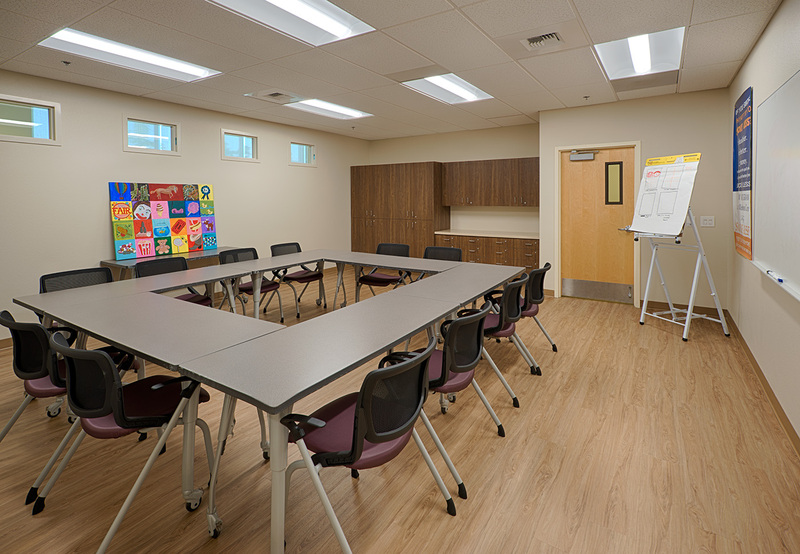 The resulting design is an open, inviting and functional space which supports the sense of community that the Center seeks to foster.